It's said, sometimes unfairly, that most modern games are little but varying shades of brown and grey. 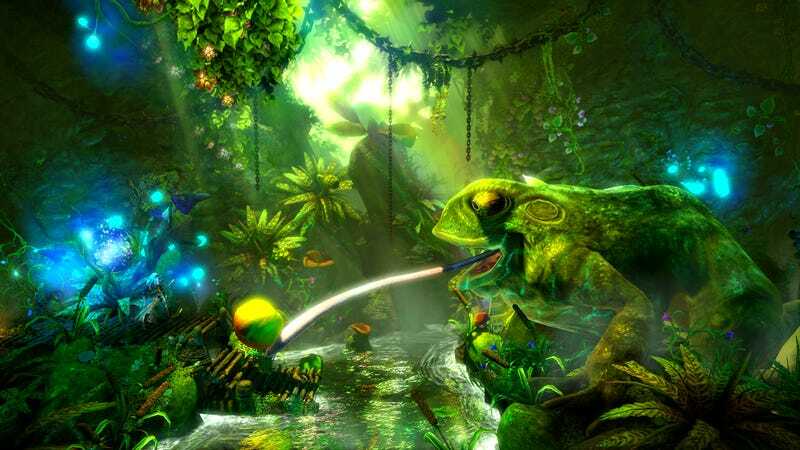 That's an accusation that could never, ever be levelled against upcoming co-op game Trine 2. Like the first, it's an explosion of colours and lavish art design, which these new screenshots for the game show off to great effect. As wonderful as everything looks, let's hope it doesn't look too wonderful when you're playing, and your characters (and the bad guys) get lost amidst all that gloss. The game will be out on PC, Mac, PS3 and 360 early next month. If you want to check out some of the game's equally-gorgeous concept art, you can see that here.